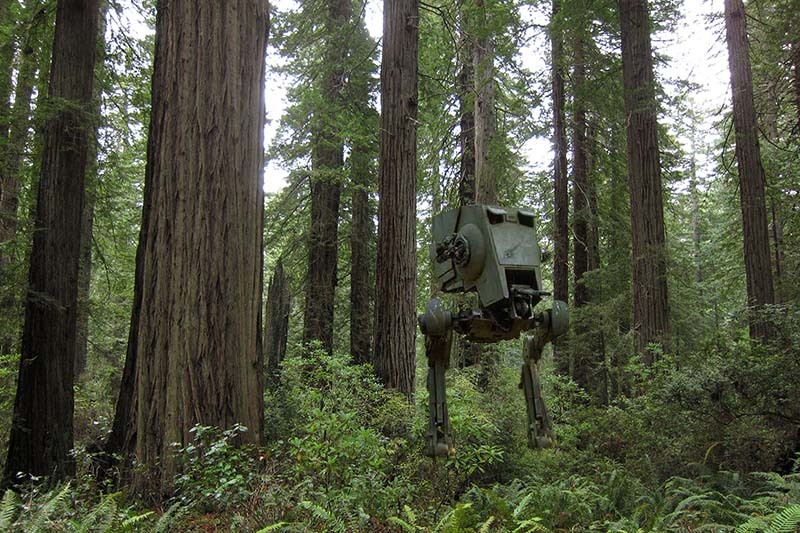 Endor – Crescent City, Northern California. 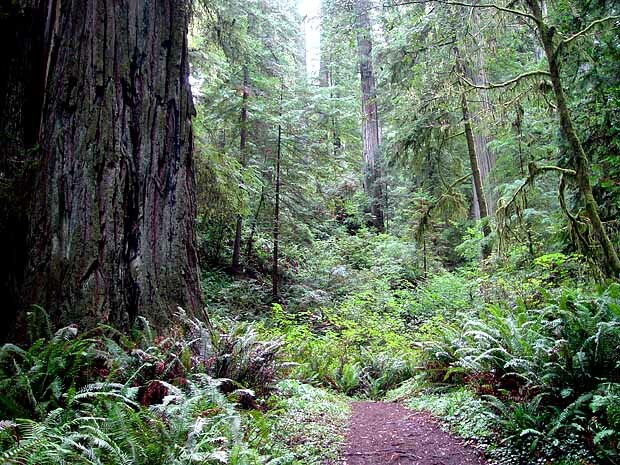 Established in 1929 and named after an intrepid American explorer, the park is located Nine miles east of Crescent City on highway 199; on the Northeast coast of California. 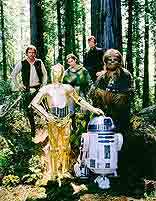 The park protects 10,000 acres of redwood groves and lush undergrowth (all the better for hiding an Ewok rope and catapult). 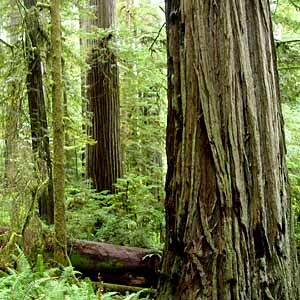 Redwoods are the tallest trees on Earth but extensive logging is reducing the area to isolated patches along the coast. 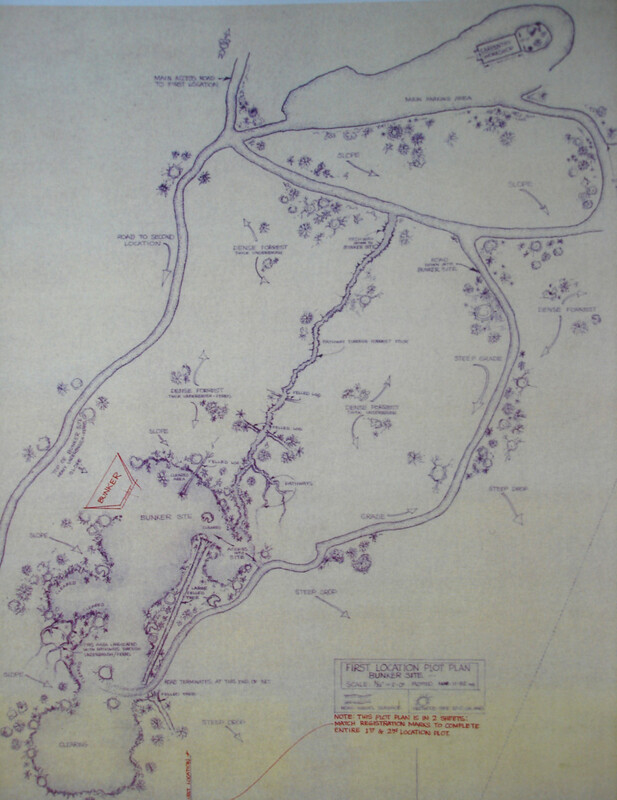 The park is bisected by the last free flowing river in California, the Smith River. 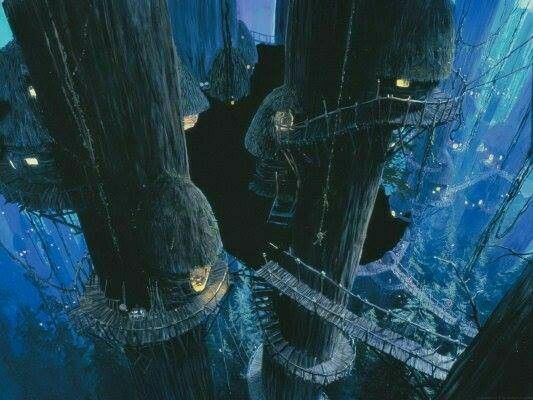 The Actual Ewok Village was built inside Studio 3 at Elstree and again matte paintings by skilled artist like Chris Evans were used for wider shots. 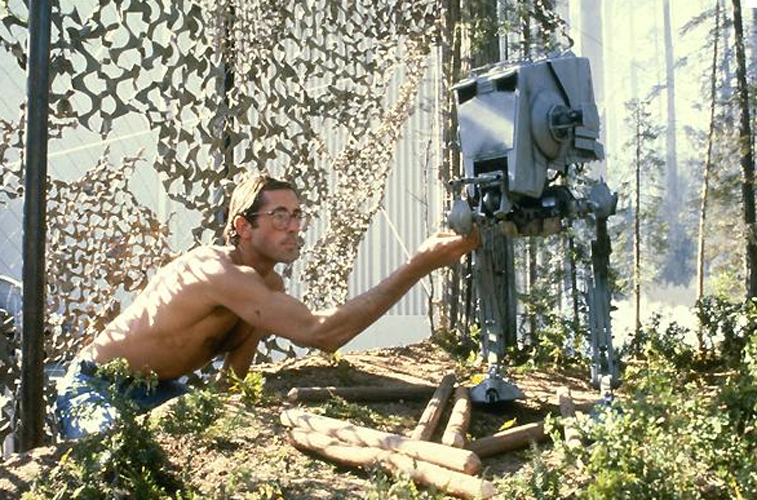 Miniature AT-ST’s were shot at ILM and set-up in different ways to show how the wily Ewoks would dispatch them using only the materials around them. 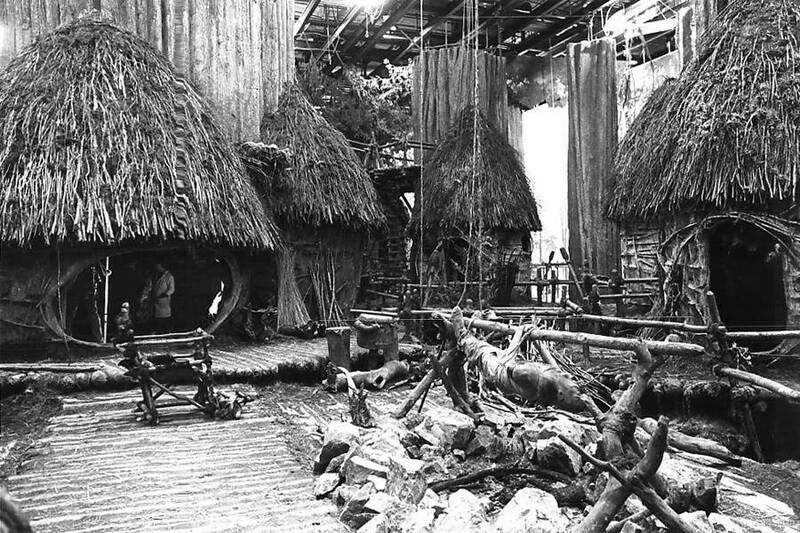 Some pick-ups were done at the Ranch with Mark Hamill and some Ewoks. The last second unit pick-up was for the bonfire scene.